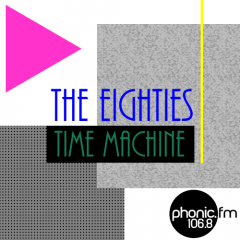 80s Time Machine – Page 2 – The best time of the month…..
Next Show – **SUNDAY** 13TH JANUARY 2019 16:00 to 18:00 – get those requests in! Next Show – **SUNDAY** 6TH JANUARY 2019 16:00 to 18:00 – get those requests in! Next Show – **MONDAY** 10TH DECEMBER 20:00 to 22:00 – get those requests in! Next Show – **SUNDAY** 2ND DECEMBER 16:00 to 18:00 – get those requests in!